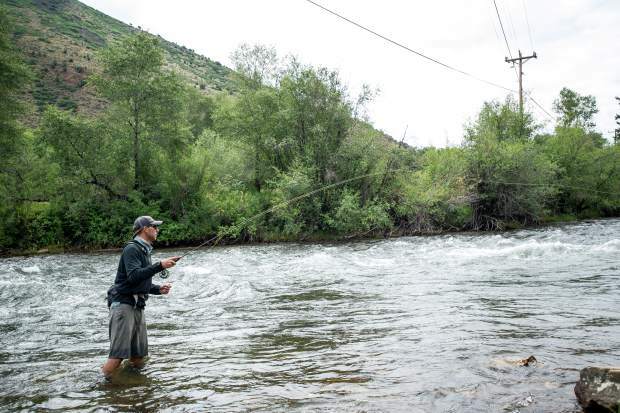 While Fly Fishing may be a way of life for many who live in or visit the Roaring Fork Valley, it is by no means the only way to enjoy the waters that surround Aspen. In fact, there are countless ways to explore this Rocky Mountain paradise by way of the water. 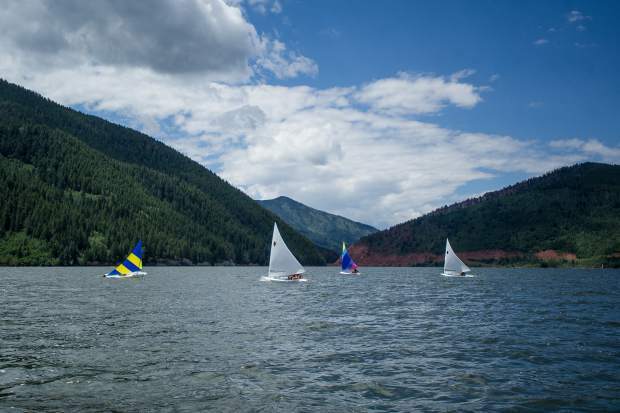 If you have a boat, the best — and really one of the only — way to enjoy cruising around is a trip to Ruedi Reservoir. Located just above Basalt along the Frying Pan River, this expansive body of water is ground zero for local water skiing, wind surfing, sailing and more (think ice fishing in winter). 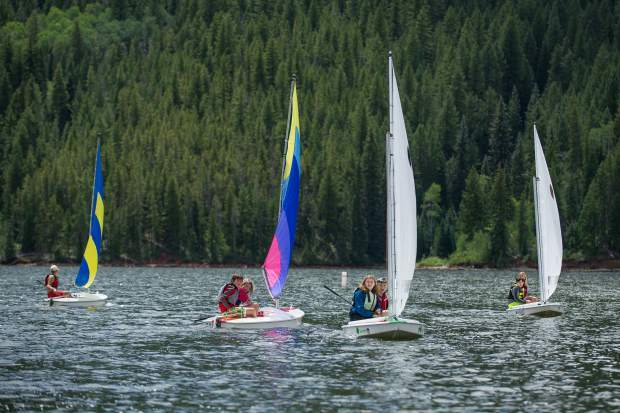 Don Sheeley, a longtime Aspen local who died in January, started a children’s sailing school on the shores of Ruedi Reservoir in 1971. 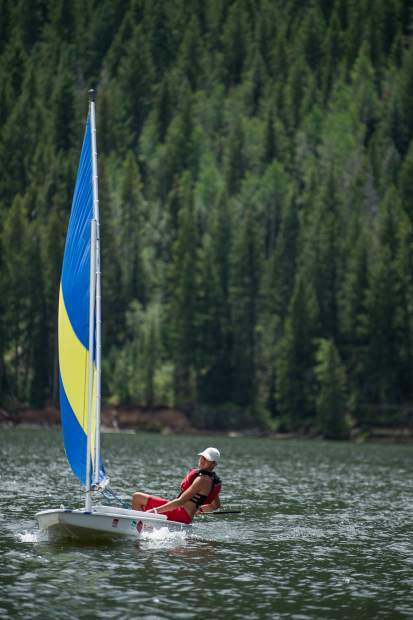 In honor of Sheeley and his contributions to the community, which extend well beyond his aquatic endeavors, the city of Aspen on July 10 passed a proclamation to rename its sailing program the Don Sheeley Sailing School. 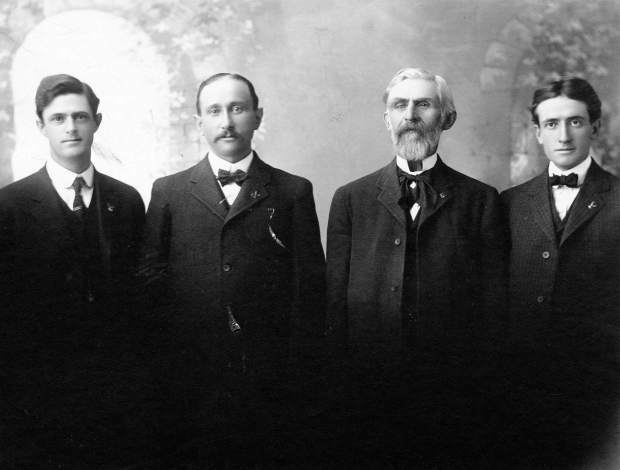 Without Sheeley at the reservoir, Hale seeks to emulate his predecessor’s teaching style, among other traits. Hale said Sheeley’s style of teaching conveyed self-reliance. “And with sailing, in particular, you have to have that,” Hale said. 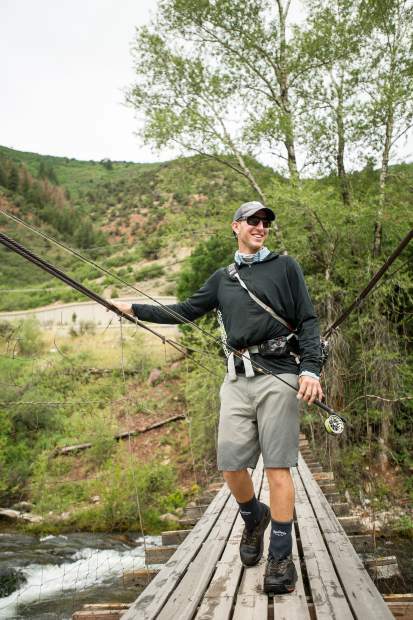 The thought of returning to Ruedi without Sheeley — no less teaching a group of 10- to 14-years-olds on the open water — was daunting at first, Hale said. 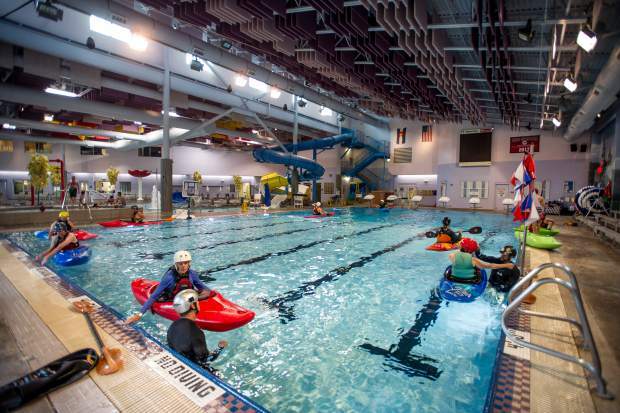 Despite his initial trepidation, Hale said this summer at the school has been smooth sailing. “It turned out that this summer’s class has been, honest to God, some of the best kids that I recall in the past five or 10 years. 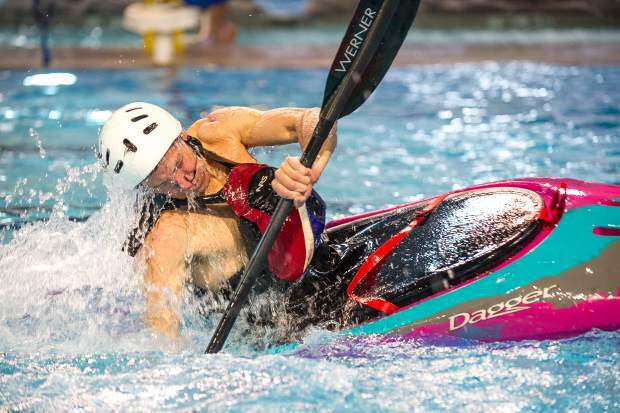 They’re fearless,” he said, and are thriving in spite of some “radically” unpredictable weather on the water. 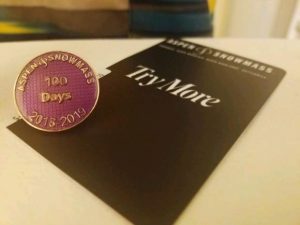 Hale explained how unlike ocean sailing, which typically offers more predictable, less extreme conditions, “anything can happen” sailing on a lake, and even more so at high altitudes. “It’s either dead calm or it is whipping, whipping, whipping, where we are the only ones out here,” he said. 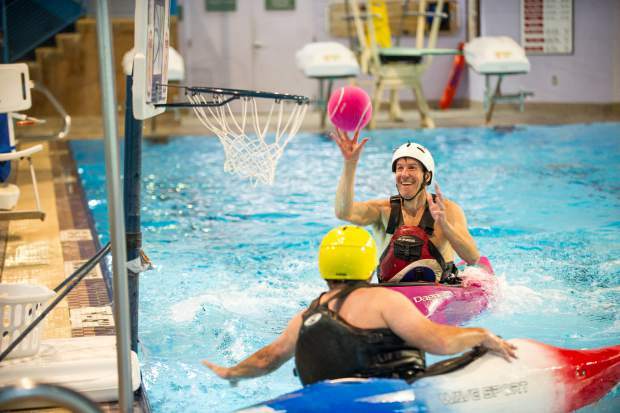 And while Sheeley’s contributions to life on the water locally cannot be underestimated, there are a few other activities worth noting (and not missing). Kayaking and rafting are big on stretches of the Roaring Fork and Colorado rivers. 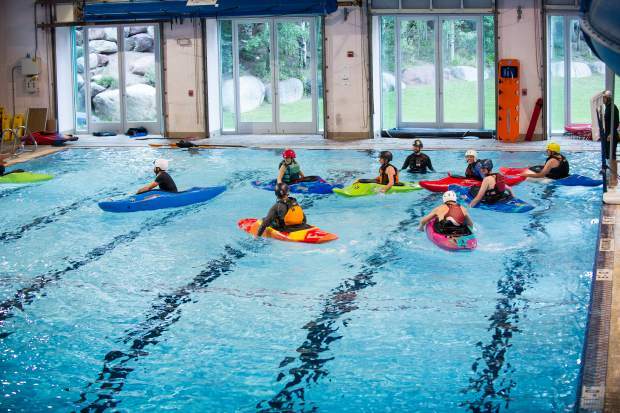 The ideal way to get prepped: kayak rolling classes at the Aspen Recreation. 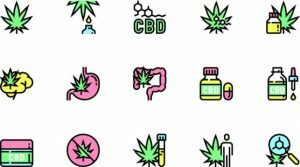 Also high on the summer t0-do list: SUPing or tubing Stillwater, a leap off the dam at Chapman Reservoir or Devil’s Punchbowl, and Sunday Fundays at any outdoor pool. 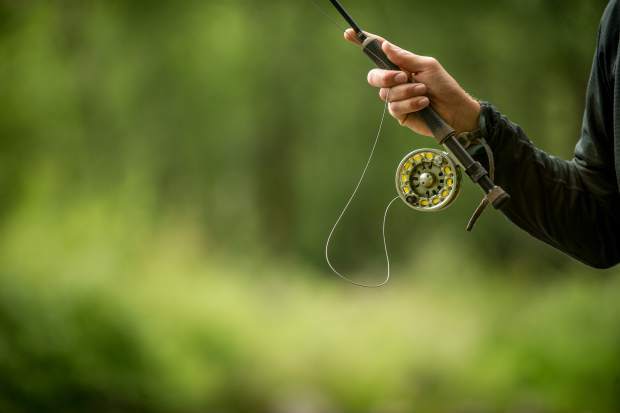 In mid-July, on one of the busiest days of the summer season in Aspen, this is what I heard: the rippling waters of the Roaring Fork River, birds and insects buzzing about, the light rustling of trees, and the amazingly serene swoosh of the fly rod in my hand as I cast — over and over and over again — on my first-ever attempt at fly fishing. 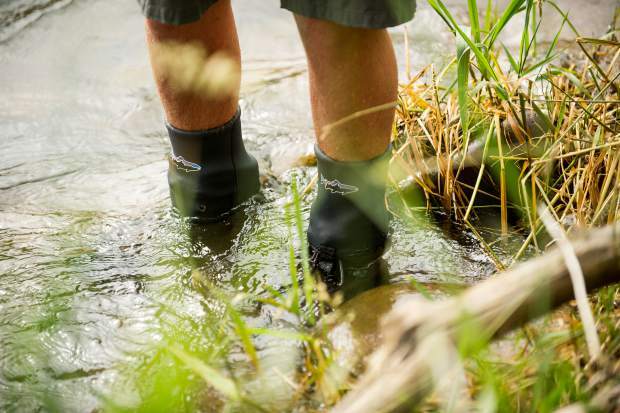 I have heard, from several seasoned fishermen, there is nothing quite like a day spent on the river with a fly rod in hand. In that moment of hushed peacefulness, I understood. It seemed to me to be the perfect blending of art, science and serenity. And then, WHAM! I felt a gentle tug, which turned into a rather ungraceful “setting” of the hook and an even more chaotic attempt to reel the fish in to shore. To my inexperienced self, it felt like I had caught a shark. It swam (hard) away, as I reeled — “a little slower” … “give it some line,” the guide reminded me. This game of cat-and-mouse continued for what seemed like hours before a mid-sized rainbow trout was dangling before me. The calm of cast had been replaced by the rush of the catch. I was hooked. 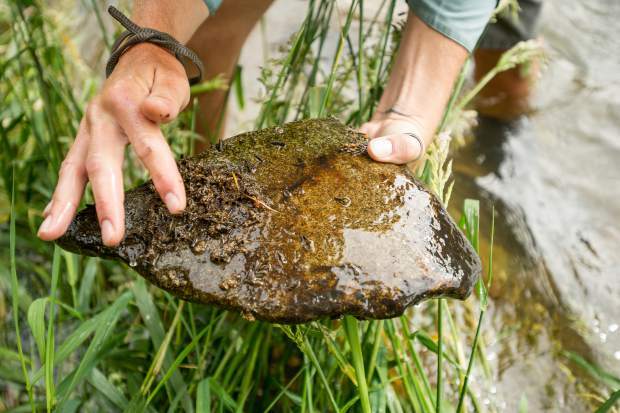 “That’s our job, to show you a good time,” says Tom Menas, a guide with Aspen Outfitting Co., who took myself and photographer Anna Stonehouse out on a section of private water the company manages near Woody Creek. Catching that fish was fun, but as we spent the morning with Menas talking about all things fly fishing — he hits the river every day, whether he’s working or not, and sometimes both when he’s working and when he get off work — it became as clear as the river we were fishing that the sport is about far more than throwing a line in the water. For example, the day we spent with Menas, caddis were beginning to hatch. 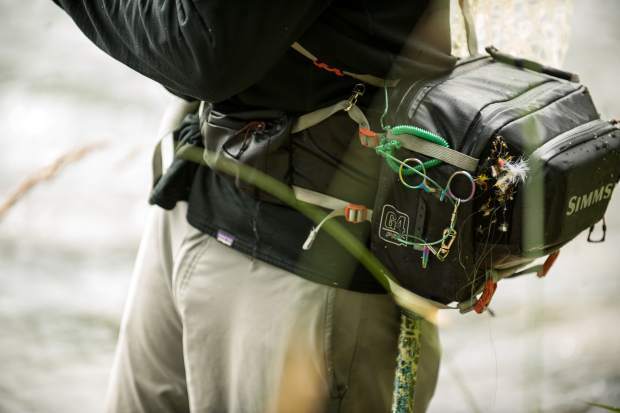 This, in the fly fishing world, is big. 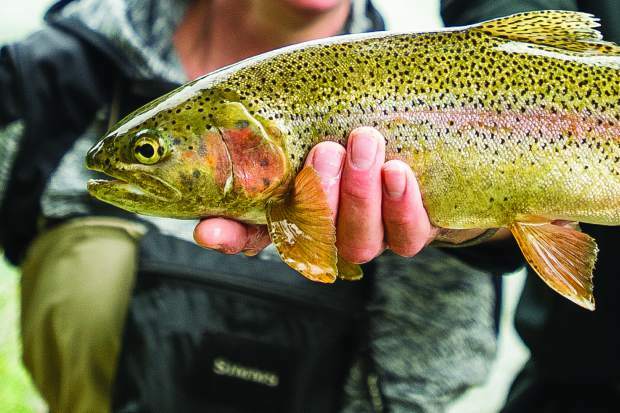 But while it’s easy — even to the novice fisherman — to take note of the flies swirling around your head, there is more to the story. Menas grabs a rock from just below the water’s surface and turns it over; various types of mayfly nymphs, which would soon finish the growth cycle to become actual flies, prompt Menas to put the rod down, dig into his pack and find his box of flies. He then changes out the bait. The golden ticket, he explains, is finding the exact replica of what the fish are eating and using that to lure them in. 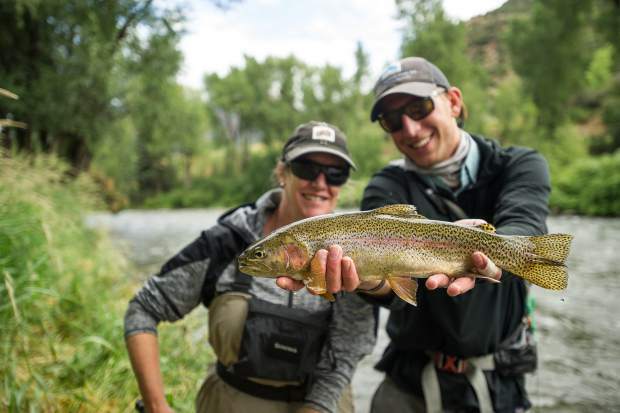 In Menas’ box of flies, many are hand-tied; they can also be purchased at fly fishing shops like Aspen Outfitters (which has storefronts in the St. Regis Aspen and a newly opened one next to the Woody Creek Tavern). 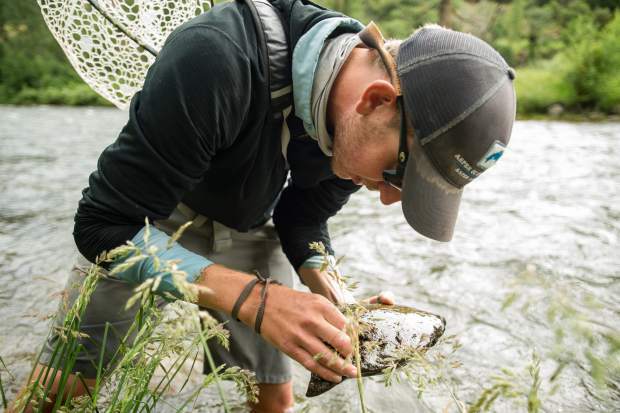 It is in this regard, the art of fly fishing — the gentle arc of the cast, mending the line so it travels downstream just so, setting the hook when a fish bites and then patiently reeling it in — becomes the science of fishing. 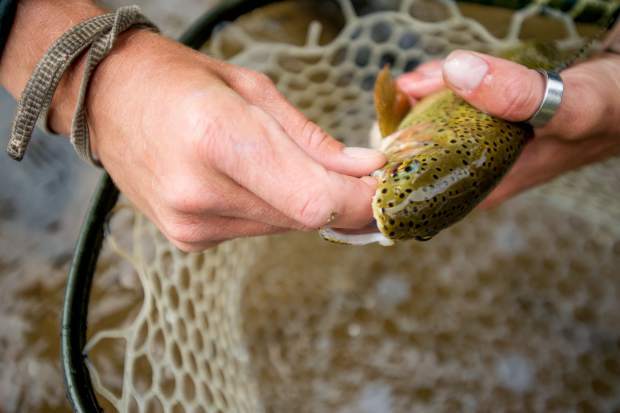 For many, that knowledge is gained by fishing with a guide; Aspen Outfitters is just one of many in the Roaring Fork Valley (Frying Pan Anglers, Taylor Creek and countless others come to mind) that offer guide services of all types. Trips run on the Roaring Fork River, Frying Pan River, with both private stretches and public access offered by most companies. Lake, pond and reservoir fishing is also out there. 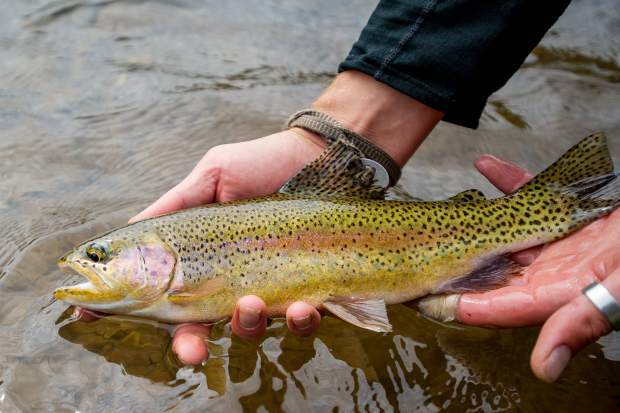 And you can fly fish year-round. 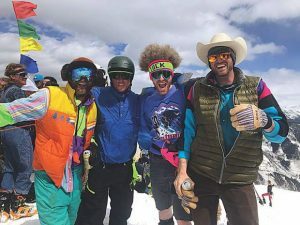 It is, at least in Menas’ eyes, the perfect Rocky Mountain sport. And to myself and Anna, the idea of winter fly fishing — though cold — was especially appealing. “It is so silent out here in winter. 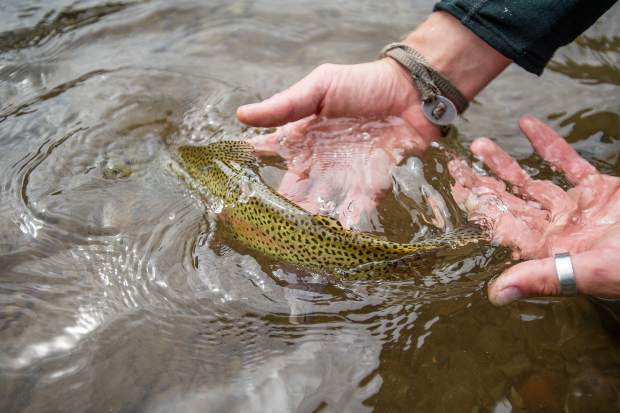 The banks are covered in white, the water is just a trickle, but there are still fish,” he says. “And, I guess, at the end of the day, that’s what it’s about — trying to catch that fish.” When Jon Hollinger started his outfitting company nearly 40 years ago (they also offer guided target shooting and hunting trips), he says his goal was to offer others the chance to “traditional outdoor pursuits” at the very highest level. 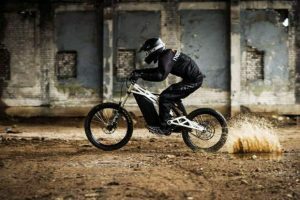 For us, the introduction to one of these formerly foreign outdoor pursuits was benefit enough. One day spent on the river was worth a million spent at the office.